The Top 6 Unhealthy Teas You Need to Stop Drinking Now! 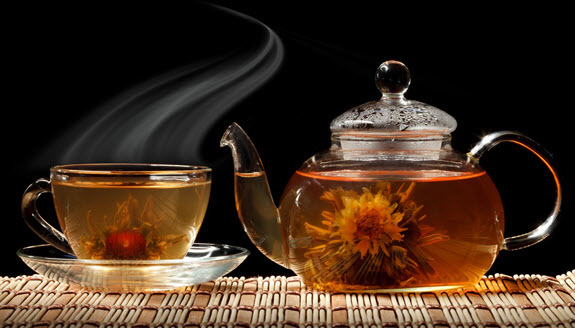 Is Your Herbal Tea Compromising Your Health and Wellness? Stop Drinking These 6 Terrible Teas! In the war on coffee vs. Tea, lots of people think that tea is the bee's knees. And we totally understand the appeal. There are so many different varieties and flavors of tea out there that the mixing and matching to find your own custom brew is both fun and delicious. Plus, no matter what tea you drink, it's 100% healthy for you...right? Unfortunately, this isn't always the case. We're not saying that you need to give up your favorite teas right now; as long as you drink the less-than-healthy ones in moderation, you should be just fine. But if you're overindulging in any of the bad teas you see on this list, you may be doing yourself more harm than good. Cutting back on the less healthful teas below (and increasing your intake of more healthful tea varieties) will help you make significant progress in your overall wellness goals. Too much of a good thing is a very real phenomenon - especially if that good thing you're getting too much of is a poor quality tea. They can cause many different unpleasant and unhealthy side effects. Sometimes, these side effects can interfere with your health and wellness goals and even take away from your quality of life. If you notice any of these accompanying your tea drinking, it might be time to switch up your brew. Many people drink caffeinated tea in order to lose weight. Lots of different varieties of tea have caffeine in them. But it can be hard to determine which, as well as how much. Many different teas are easily mistaken as caffeine free when in reality, the exact opposite is true. Other teas are often underestimated when it comes to their caffeine content. If you know you have a caffeine sensitivity - or if you suspect you might have one - it's important to read the labels carefully in order to figure out if your tea is causing the problem. Sign #2: Fussy Baby? it Could Be Your Tea! Maybe you're very good at listening to your body and you know when it's time to put yourself through a deep cleansing detox - and you've noticed this need popping up more and more frequently lately. Or maybe you haven't been increasing the frequency, but the relief you feel from the occasional detox has felt overwhelmingly better than it has in the past. The reason for this may be partially to blame on the bad tea you're drinking. Your major organs - your liver and your kidneys, especially - are responsible for over 90% of the detoxification which happens in your body. But there are teas out there which can overload these organs and make it very difficult for them to do their job. Going overboard on rooibos tea is especially problematic because of hepatotoxicity. Rooibos is difficult for your liver to process, despite all of this tea's antioxidant benefits. You'll also want to keep a close eye on how much ginger root tea you drink. Not only can it be bad for baby, but it can run your kidneys and your joints through the ringer as well. Drinking too much ginger root tea increases the level of uric acid in your blood. Too much uric acid in your system leaves your kidneys vulnerable to developing more kidney stones and your joints more susceptible to gout. You may have heard recently that things like soy products and other plants can overload your body with something called phytoestrogens. Phytoestrogens are plant versions of estrogen which your body has a hard time telling the difference between its own. Too much phytoestrogen in your system can cause a hormonal imbalance which may lead to a whole host of problems. It could affect your mood, or it could even go so far as to reduce bone density or promote certain types of female cancer. Rooibos tea is another repeat offender on the list of bad teas you should avoid if your estrogen levels are a major cause of concern. So if you can't drink rooibos, ginger root, black tea, or rhubarb, what kind of tea can you drink? The good news is you don't have to give up any of those teas cold turkey. As long as you drink them in moderation, it should be fine. But you can also drink the following teas to counteract the negative effects as well as improve your overall health. Start with sencha green tea. It is a great alternative to regular green teas. 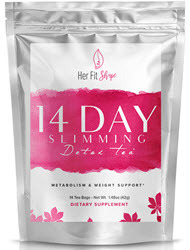 The caffeine content is much lower and the powdered form comes with prebiotic fiber which other teas won't provide. Speaking of prebiotic fiber, orange peel tea usually has a good amount of pectin in it, which is fabulous for your gut health. Lastly, there's lotus flower tea. Lotus flower tea is great for relaxing and calming the stress that can cause hunger cravings. It also helps your body block the absorption of carbohydrates and fat so that less of the calories you eat will be stored as fat. Now that you know which teas you should - and shouldn't - avoid, it's time to fire up that kettle and start drinking better, healthier tea!